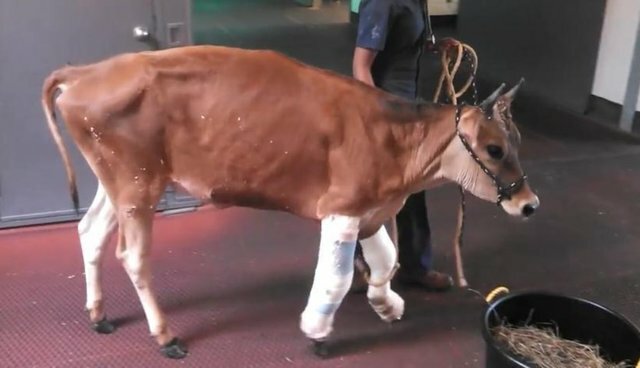 The story of Fawn, a dairy cow with crippling infections, rescued from her would-be fate as a milker, may on the surface seem like a small victory, but in the grand scheme of things Fawn's freedom sheds light on an otherwise opaque industry, known more and more for its shady tactics and cruel practices. In the last three decades, world milk production has increased by more than 50 percent, from 482 million tons in 1982 to 754 million tons in 2012. There's now an estimated 270 million dairy cows in the world. 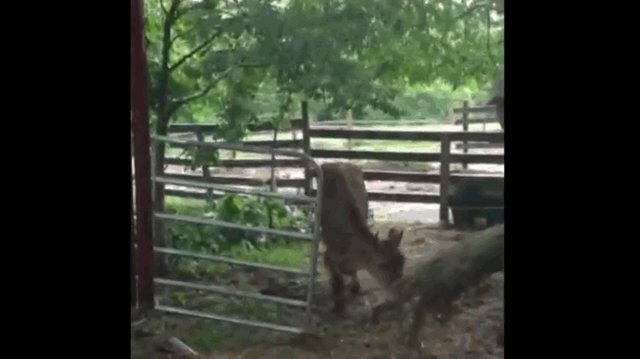 Fawn came to Woodstock Farm Animal Sanctuary after a series of misfortunes. WFAS co-founder and executive director Jenny Brown explained, "When Fawn was born, she fell to the ground on concrete, landing in the manure ditch behind the [other] dairy cows." It was due to this accident that Fawn's front leg was fractured, prompting the farmer to call a local woman looking to raise a "pet cow." Though the farmer didn't think Fawn would survive, a vet put her on antibiotics, but unfortunately the root cause of Fawn's discomfort, a terrible infection caused by the fracture, was left unattended. WFAS learned about Fawn when she was roughly 16 months old, by which time her three functional legs were no longer able to support her body weight. She went from hobbling about on three legs to "walking" around on her front knees. She was in bad shape and, the more she grew, the worse it got. Her front legs began to bend and bow and, recounts Brown, "Her future looked bleak." It wasn't long before WFAS tepped in, offering to help by bringing her to Cornell Hospital. Despite mixed predictions, the head surgeon had hope. "He was willing to give it a go!" Brown said. The operations (one on the front right leg and one on the front left leg) proved successful and - bonus! - everyone fell in love with Fawn. 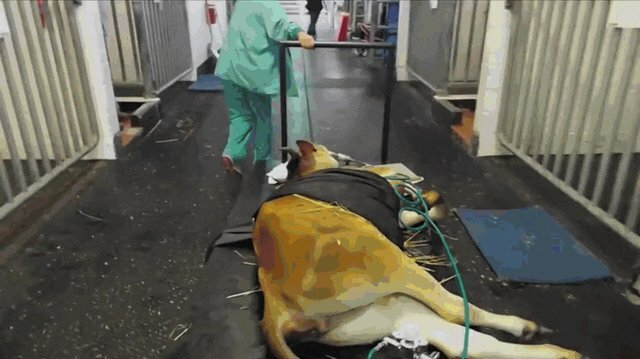 "The vet students and doctors told us she was one of their favorite patients," Brown wrote in an email to The Dodo. Fawn remained at Cornell for two months while they monitored her care and began her physical therapy. 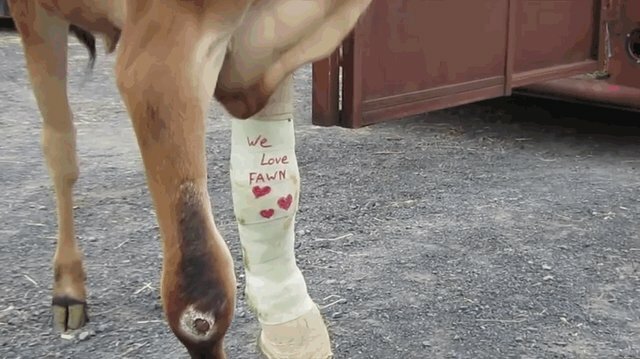 Eight weeks later she returned to WFAS sporting a cast that read, "We Love Fawn," courtesy of the team overseeing her recovery. Fawn is now living out her life at WFAS. 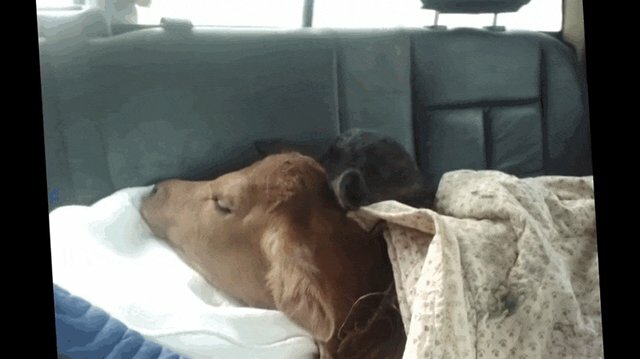 "A comfortable life surrounded by human and animal friends who love her," Brown tells The Dodo. 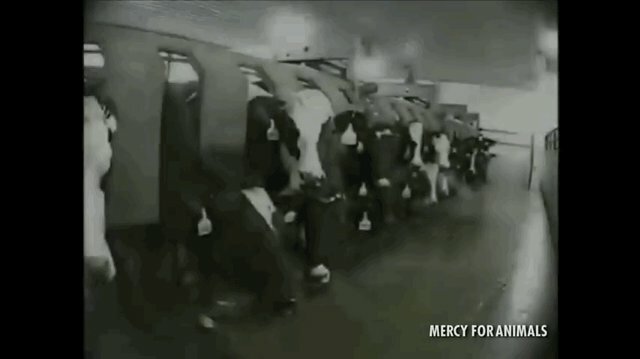 "A life few cows are fortunate enough to experience." Orthopedic braces fashioned on her front legs and continuing her daily physical therapy, it will be a slow recuperation. "She needs to build strength," Brown tells The Dodo. "One of her legs is permanently fused so that her knee doesn't bend, but she's learning to maneuver. Through it all, she is endlessly affectionate and sweet. She just loves to cuddle and have her neck scratched." To contribute to Fawn's recovery and care, donate here.